pdf has been updated to reflect the correction. I've also tested the pattern on a large gauge Knifty Knitter (red hat loom) after several requests. 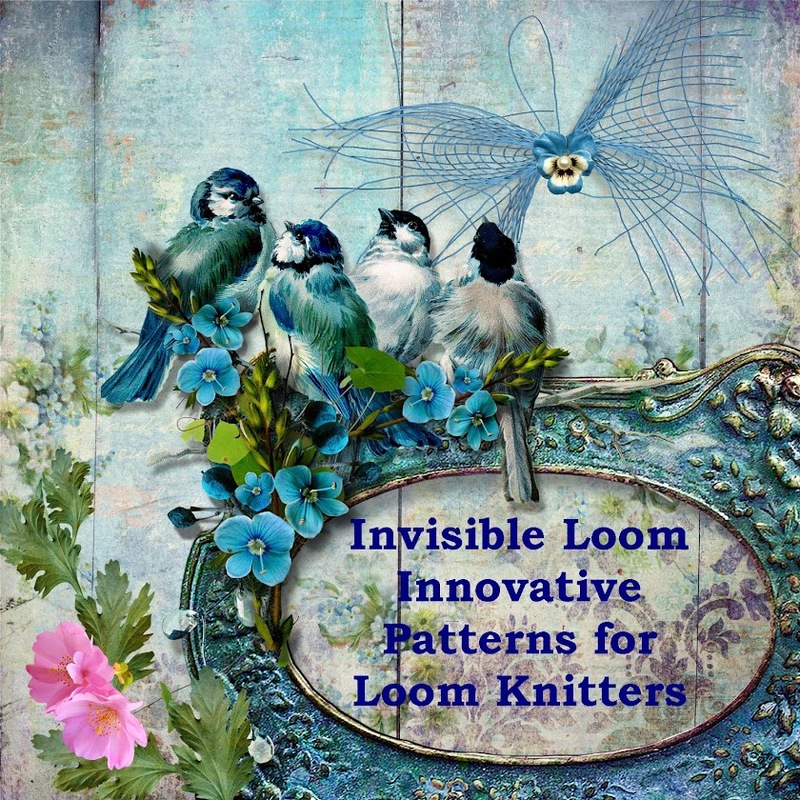 The pattern can be used on the large gauge loom with about 250 yards of Worsted Weight yarn (a smooth yarn recommended) as written. The larger loom gives a longer, looser scarf, but all the details of the stitch pattern and design are preserved. Enjoy! Copyright 2010 by Invisible Loom and Craft, Renee Van Hoy. All Rights Reserved. Personal Use Only.